Adding a scoop of low-sugar, low-calorie protein powder to the recipes below instantly makes them post-workout drinks! Today is National Beverage Day, and like any day that celebrates eating or drinking, it can be as healthy or unhealthy as you want it to be. The Physical Health and Wellness staff at Wounded Warrior Project® (WWP) try hard to encourage our warriors to find delicious ways to stay healthy – without giving up some of their favorite foods. Like our piece on healthy party snacks, we’ve put together a collection of delicious recipes that don’t sacrifice flavor for fitness. For those of us who prefer to drink their fruits and veggies, National Beverage Day is a good chance to experiment with ways to get those nutrients – fast. Be careful to avoid store-bought juices. Most beverages that come in bottles are loaded with sugars and artificial components that severely reduce nutritional value. But if you put raw fruits and veggies into a blender and make your own, you get all the fruit’s the benefits, which can be found in the skin and seeds too. It’s less processed, which allows the components of those fruits and veggies to release nutrients more slowly. Plus, blending is a fast way to get a meal in the morning. 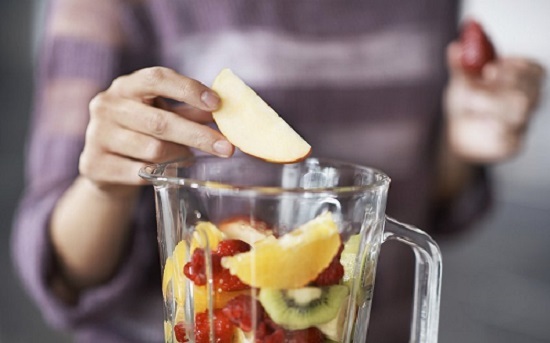 If you’re in a hurry or not a morning person, taking five minutes to throw ingredients into a blender can get you a full days’ worth of some important vitamins in a single drink. We think these recipes are ones you may not have seen or tried before, so enjoy! Please note that you will need a blender for all the recipes, and you’ll want to blend until it’s smooth. You can also add a scoop of low-sugar, low-calorie protein powder to the recipes below to make them post-workout drinks! To learn about how WWP’s Physical Health and Wellness program is helping warriors with fitness and nutrition, visit https://www.woundedwarriorproject.org/programs/physical-health-wellness.